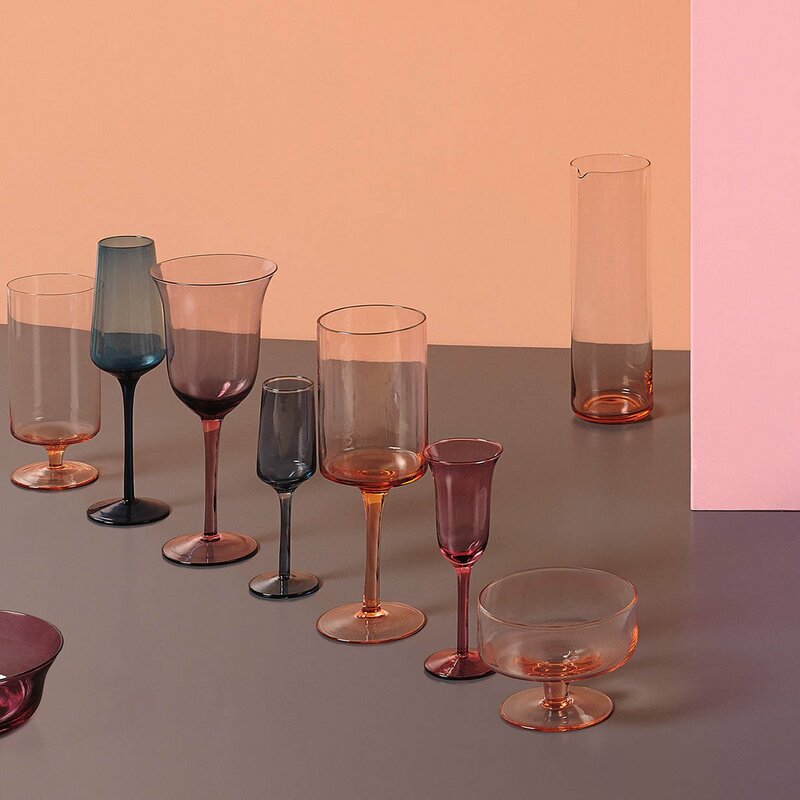 Service of six glasses made of blown glass. To everyone its shape and its color. 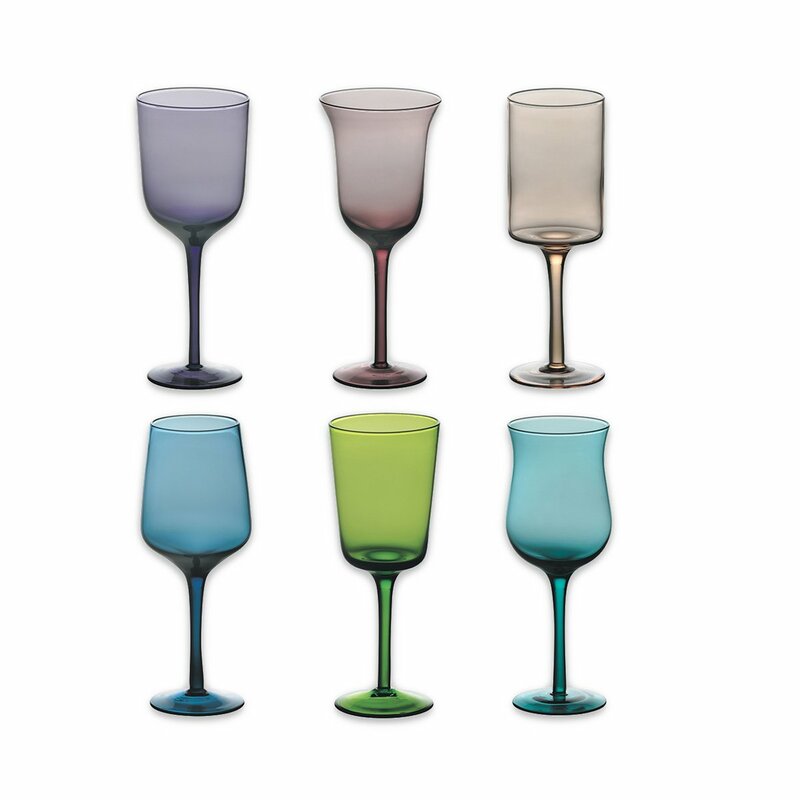 In fact, this set consists of 6 goblets different both in shape and color, colors ranging from green to light pink, from blue to purple. 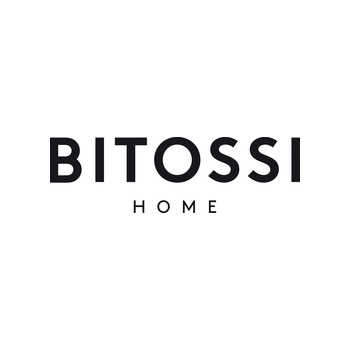 These six glasses are part of the Diseguale line, produced and designed by the Bitossi Home company. It is possible to wash these glasses in the dishwasher.